The Troon to Larne ferry connection was operated by P&O Ferries. The service connected the east of Northern Ireland with the south west of Scotland. It departed up 14 times each week from Troon and took you across to Northern Ireland in 2 hours. P&O Ferries have announced the closure of its Troon to Larne ferry service, the last sailing was in September 2015 and the crossing will not return in 2016 or the near future. If you are looking to sail from Scotland to Northern Ireland, you can use the Cairnryan to Larne ferry or the Cairnryan to Belfast Ferry. With Troon only 45 minutes from Glasgow and Edinburgh not much further, this summer ferry service to Northern Ireland is one of the quickest and most convenient for many travellers from Scotland. The ferry from Troon to Larne only operates during the peak season between March and October, however the busier and more frequent route between Cairnryan and Larne operates all year round. Cairnryan is just over an hours drive south of Troon. If you are planning a self drive holiday to Northern Ireland, Southern Ireland or even if you are just one of the many people who need to commute home or to work, then the Troon to Larne connection really is an excellent and cost effective way of travelling. 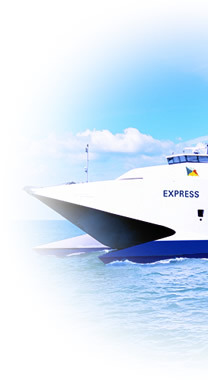 P&O Troon to Larne ferries are convenient for whatever reason you have for visiting Northen Ireland,. When you dock in Larne you are just a 30 minute drive from the capital of Northern Ireland, Belfast. If your destination is further east you are just a 90 minute drive from Derry and Omagh. If your final destination is actully in Republic of Ireland, then from Belfast you can reach Dublin within 2 hours and even if If you are travelling further, you should be able to reach the furthest reaches of all of Ireland within a 6 hour drive from Larne.